When you look around, you will realize that everything is going digital. The power of technology is no longer earmarked for computer gurus and high-tech industries. Educators from all levels are coming around to realize the benefits of technology use in the classroom. The world of learning and education is one of the sluggish industry to make an extensive change due to the traditional methods and practices. But thanks to noteworthy advancement in mobile and cloud technologies, teachers and educators have started making drastic changes to the classroom learning structure to keep up with the new digital trends in education. It’s even easier to order or write a paper online from anywhere as long as you have a laptop and access to the internet. Here are the top five digital transformation trend that will have a huge impact on education. The old days of students sitting in classes quietly are long gone. Digital technology has succeeded in making the learning process more interactive. Virtual and augmented reality is finding its way into classrooms to replace history books with virtual learning which allows for the creation of fun and engaging lessons for the student. Take the examples of the app Unimersiv that features virtual experiences with loads of information to educate students in history or anatomy to supplement normal lessons with virtual experiences. CoSpaces, on the other hand, allows students to build their own virtual world and share their virtual creations with the world. The list of virtual reality apps continues to grow every day. With large companies such as Magic Leap working hard to transform the way, students interact with technology; the future of virtual reality is bright. The recent digital transformation has seen a steady interest in personalized education. Every student’s learning process is different. Educators, researchers, and parents are aware of this but turning this knowledge into action have been a tricky endeavor. To understand all the learning styles, educators need to study the individual needs of each student, and this may be a daunting task considering the large population of students in most schools. That is where digital transformation trends of adaptive learning and blended learning comes in. Let discuss the two in details. Adaptive Learning: It allows the student to use computer-based systems to analyze their input and adjust any information and materials depending on their performance. Adaptive learning can help increase classroom liveliness and improve student’s performance. Blended Learning: It combines face-to-face training and interactions between students and teachers with tech-based learning. By striking a balanced between the two with the help of technology, students can get a chance to control how they learn and what kind of subjects they explore. There is no doubt that tech-based learning is a common trend in education and it will continue to improve the learning process in the classroom. Games and learning come together when teachers are looking for a new and engaging way to use gaming as an instructional tool in classrooms. Gaming technology inspires learning with a more exciting and interactive way to solve problems. The end result is a reward in form of a level up, badges, and a fail with a chance to try again. It’s also a good way to encourage team play and collaboration among students. Some games are a bit complex thus require real-life skills to solve them. These games provide a good opportunity to apply new knowledge that allows students to make critical decisions by determining obstacles and knowing how to solve them. Since these games provide instant feedback, the players remain motivated to keep playing thus honing their skills throughout. When you walk in most classrooms, it’s common to find rows of the disk facing the front of the room. However, teachers and educators have realized the need to incorporate technology to create friendly spaces for better learning. Modern classrooms are now SMARTboards rather than chalkboards. Some schools have transformed their libraries into open spaces to enhance learning and creativity. Students are now going for virtual trips instead of the old way of reading plain text. These improvements show that smart classroom options provide a comprehensive digital experience to student thus increasing engagement and inspiration. Even higher institutions of learning are now creating more friendly learning spaces as they have learned and understood the need for creating a collaborative environment throughout the learning session. Thanks to technology, learning institutions collect and analyze a large amount of data every day. By gathering and interpreting data from different learners, digital technology can help improve the learner’s engagement, interactivity, effectiveness, data usage statistics, and knowledge retention. This aspect can improve the process of content delivery for a better learning environment for any learner including work from home college students. Adaptive learning which adjusts the way instructional data is presented to the student can also be used to improve personalized learning. Similarly, teachers can also use interactive classroom tools such as Windows and touchscreen display to improve the students learning experience. When technology is used to interpret data, it becomes easier for students to analyze. 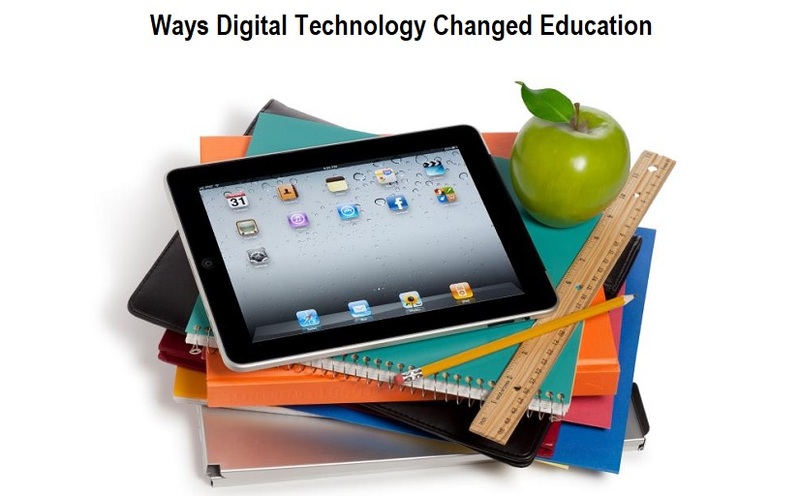 Digital technology trends in learning are changing the experience in today’s classrooms. They provide extraordinary possibilities to learners as long as there is complete technological support. Most educational institutions are catching up with the trend and adopting some of these digital transformation trends. As educators strive to see students improve, the responses to these technology trends must be embraced for a change.